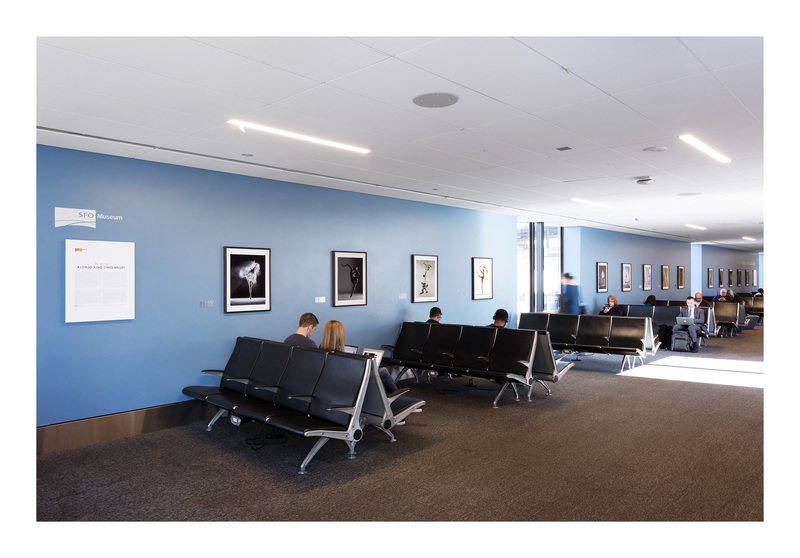 San Francisco Airport Museum pays tribute to two renowned local artists. 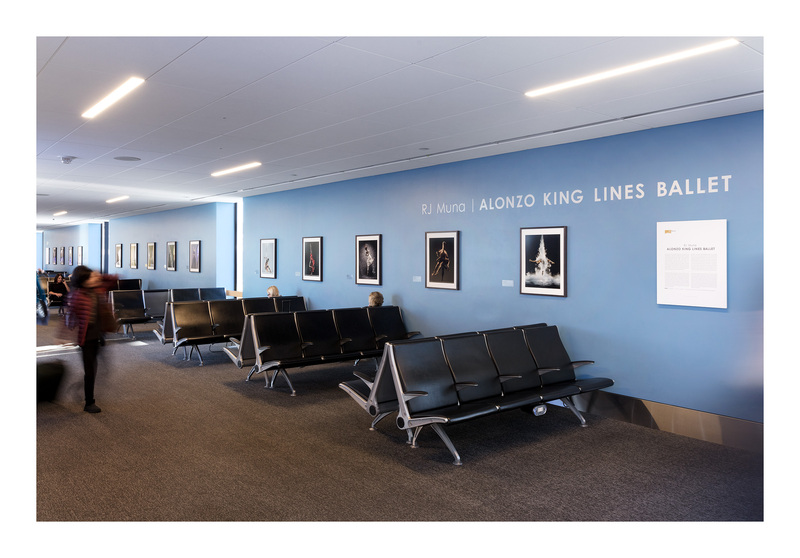 For everyone passing through Terminal 1 in the San Francisco Airport, the trip to their gate will be enhanced by a special exhibition of RJ Muna’s photography of LINES Ballet dancers. Fourteen of our favorite images are on display from February 15-May 8. Scroll through all the images below and read more about the creative partnership of RJ and Alonzo King. RJ Muna has worked in San Francisco since the mid-1970s. Known for his commercial studio photography, he has received over one hundred and fifty awards during his career, including the International Center of Photography’s Infinity Award, a Clio Award, and a Lucie Award. His work has been selected for numerous photography competitions including the Graphis Photo Annual, the PDN Photo Annual, and the APA National Awards. Muna’s images have appeared in industry publications including Black & White Magazine, Camera Arts Magazine, Photo District News, and Lürzer’s Archive, among others. His film work has been featured in festivals including Dance On Camera Festival, San Francisco Dance Film Festival, AI-AP International Motion Art Awards, and Art Basel Switzerland. 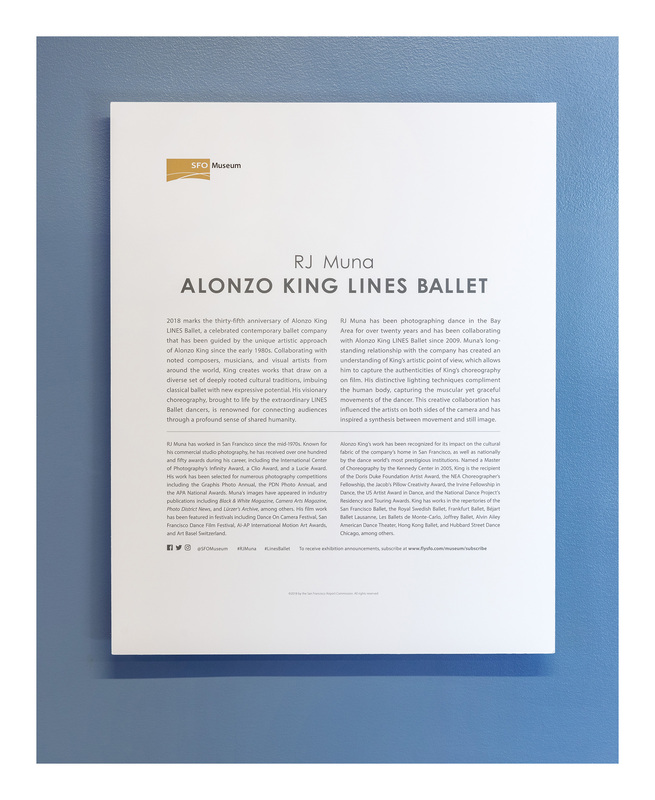 Alonzo King’s work has been recognized for its impact on the cultural fabric of the company’s home in San Francisco, as well as nationally by the dance world’s most prestigious institutions. Named a Master of Choreography by the Kennedy Center in 2005, King is the recipient of the Doris Duke Foundation Artist Award, the NEA Choreographer’s Fellowship, the Jacob’s Pillow Creativity Award, the Irvine Fellowship in Dance, the US Artist Award in Dance, and the National Dance Project’s Residency and Touring Awards. King has works in the repertories of the San Francisco Ballet, the Royal Swedish Ballet, Frankfurt Ballet, Béjart Ballet Lausanne, Les Ballets de Monte- Carlo, Joffrey Ballet, Alvin Ailey American Dance Theater, Hong Kong Ballet, and Hubbard Street Dance Chicago, among others.